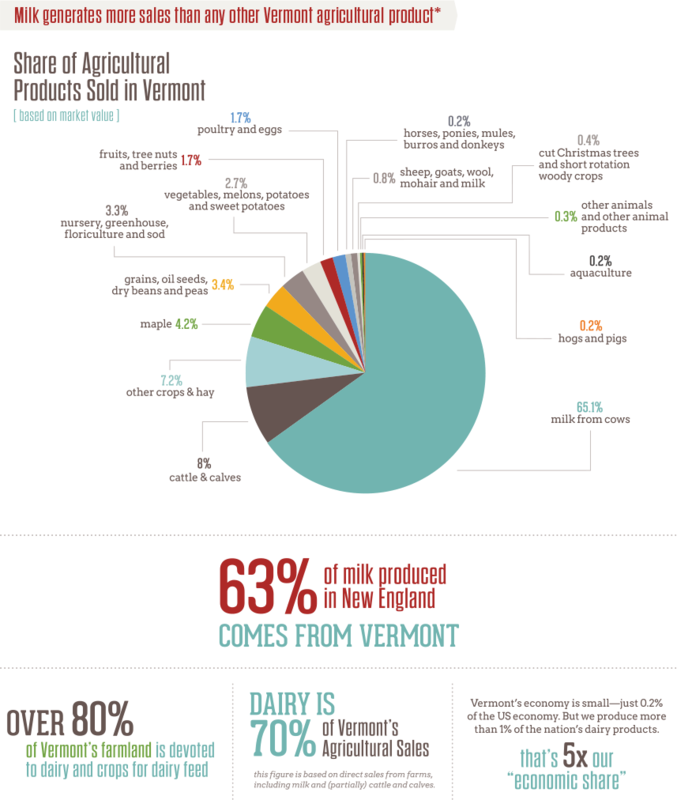 Roughly 80% of Vermont’s farmland is devoted to supporting milk production as dairy farmers use their land to grow corn as grain and silage, and to grow grass for pasturing. This keeps feed purchasing dollars local, and reduces transportation costs and energy use associated with purchasing feed elsewhere. The dairy industry also helps provide agricultural infrastructure that other Vermont businesses rely on. Dairies spend some $500 million annually to support Vermont’s “agricultural web” of goods and services needed for all types of farming—like competitive pricing for farming equipment and machinery, hay and feed, veterinarians, etc. *For more information on the figures shown, please download the full ”Milk Matters” Economic Assessment report [PDF].